One in three English kids aged between 2 and 15 are classified as overweight or obese, a new study has revealed. 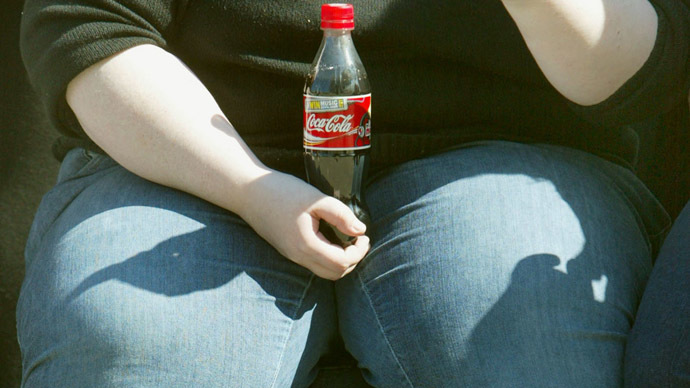 In a survey of over 370,000 children in England, a quarter was found to be clinically obese. The 20-year study by Kings College found a steady rise in the percentage of overweight children between 1994 and 2003, but noted the figure has leveled off at around 30 percent since then. Britain has been labeled “the fat man in Europe” because it has the highest obesity rate compared to its continental neighbors, according to the NHS. The research used GP’s electronic health records in England to analyze over 370,000 children’s weight, height and body mass index (BMI). Published in the Archives of Disease in Childhood, the results found that boys aged 11 to 15 are slightly more likely to be overweight than girls of the same age. A staggering 37.8 percent of boys aged 11 to 15 are considered overweight or obese, while the figure is 36.7 percent for girls. Younger children are less likely to have weight problems, with 25 percent of boys aged two to five designated overweight or obese. The figure is 23 percent for girls. For ages six to 10, around a third of boys and girls were overweight or obese. Experts warn overweight and obese children have a higher chance of developing type 2 diabetes, cancer and heart disease in later life. They are also more likely to suffer from bullying, low self-esteem, anxiety and depression. Colin Michie, chair of the nutrition committee at the Royal College of Pediatrics and Child Health, welcomed the news that obesity figures were leveling off, but acknowledged the ongoing problem. “Prevention works better in younger age groups, so we have to focus on cutting calories and encouraging a more active, healthy lifestyle in children,” he added.